Mike retired from the Postal Service in 2015 after a 33.5 years career, with the last 15 years as Postmaster Ruskin FL 33570. 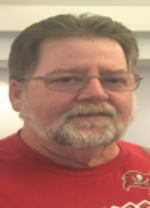 Mike has held numerous positions in NAPUS as State President, Vice President, Parliamentarian. He served as National Vice President representing FL, GA, and Puerto Rico. As UPMA was being formed Mike worked closely with the Presidents of the active and Retired Associations in FL in writing and getting approved the By Laws for each group assuring a smooth transition from NAPUS to UPMA. Mike has always worked to help Postmasters prior to retirement and is committed to continue to serve where needed in retirement. What UPMA means to me - I can’t talk about UPMA without recognizing my experiences with NAPUS. When I first joined NAPUS I found a group of like minded Postmasters that cared about the Postal Service and each other. There were many things that the Postal Service did not provide to me in the way of training in being a Postmaster that NAPUS did. I can honestly state most of the real life Postmaster training came through NAPUS at State and National Conventions. I never had a problem with an MPOO unless they were an acting MPOO trying to make a name for themselves. It was in these times that I counted on NAPUS to have my back and they did. I represented many Postmasters through the years who because of an over ambitious MPOO found them looking at adverse action. In every case they never believed they would ever need representation. Because of the training I had received through NAPUS I was able to defend each successfully. Now as we transition into UPMA I see many of the same benefits I found in NAPUS and others have told me the benefits they see from the League molded into one organization has made us even better. The best benefit in belonging to UPMA is the friendships I have made through the years and continue to make even in retirement. When attending UPMA functions I see many friends that I have come to know through the years and each and everyone feels just like family. I am not sure there is any other Association you can belong to and travel across the country and know you have a friend or place to stay if needed in every state. These are friends; they are family that I never would have the privilege to know if not for the Association. At our recent board meeting we were asked to share what UPMA has done for us. For more than 30 years I was a duo member of NLPM and NAPUS. I feel the value of the training and friendship I received from both organizations was immeasurable. I’m also very happy they have merged together. Any time I felt I needed clarity on job related issues I could always count on our organizations for guidance. For this I will always be grateful. I appreciate the opportunity of being elected to serve on the Florida UPMA Retiree Board. I started my USPS career in 1973 as a clerk/carrier in Westhampton Beach NY. I was appointed Postmaster Quogue NY in 1982, Postmaster East Quogue NY 1987, moved to Florida in 1990 and worked in Zephyrhills FL. I was assigned to numerous Supervisor positions, transferred to Eustis FL as Supervisor in 1995, and was appointed Postmaster Tangerine FL in 1996. I was appointed as Postmaster of Oakland FL in 2000 and completed my 32 year career there in 2005. I am currently retired and enjoying life with family, friends, roller coasters, traveling and puppy Toby !! I joined the NAPUS organization in 1982 and have been an active member ever since. I have served as district director (NY & FL), district secretary/treasurer (NY & FL) and now serving as UPMA FL Vice President Retired. 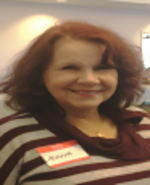 I have volunteered on many convention committees in New York and Florida and a few committees on the National level. I am also currently the UPMA Convention Coordinator for 2018 - Melbourne and have been planning Florida’s State Conventions since 1999, with 2000-Orlando State Convention my first. What I loves the most about the Postmaster’s/Manager’s organization is the network of family and friends throughout the USA!! The management organizations have provided networking, comradely, and training the postal service failed to provide. I like providing service to others. My postal career began in October 1983 as a PTF Clerk in Pahokee Fl. I transferred to the Canal Point Post Office in 1985. In 1994, I earned the title of Postmaster of Canal Point. In 1999, and did a lateral transfer to the Paisley Post Office where I remained Postmaster until my retirement in 2015. During my 32 year postal career, I was detailed to several OIC positions and district office details. Including, but not limited to the POS District training coordinator and the facilitator for numerous training classes. 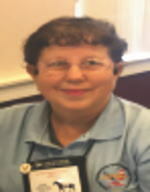 Prior to UPMA, Sandra served in the following positions in NAPUS: State Vice President, State Service Rep, State PAC Chair, State convention Hospitality Chairman, Florida National Convention Hospitality Chairman. 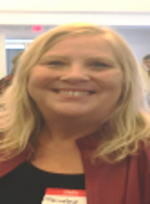 Sandra currently lives in Paisley Fl with her husband Larry Oliver. She has two children and 4 wonderful grandchildren. She is also on the National Nominating Committee. I began my Postal Career in Fort Myers in 1973 and after several promotions, and OIC assignments, I retired as Postmaster Osprey, FL in 2005. Like most, I am very busy in my retirement. I returned to USPS to inspect and count mail 8 different years and even worked as Christmas help one year. I worked as a cashier at Publix to get 8 of the 40 quarters that I needed to qualify for social security. My love for NAPUS and Postmasters began when I attended my first National NAPUS convention in 1975, and I have served the Organization in most of the elected and appointed positions. Nationally I served as VP representing FL, GA, Puerto Rico and the Virgin Islands. I also served as Aide to the National Secretary/Treasurer for 2 terms and as the state Retiree President for 5 years. Of course, my faith and family are important. I am married to John and we have 6 grandchildren, and I am truly blessed to have my parents living close by. Since my retirement I have been able to combine my love of travel with my passion for running and I have toured AND completed a marathon (26.2 miles) in every state. I look forward to more travels and seeing and meeting more UPMA members. I would like to personally and publicly thank our Webmaster, Marvin Marley for the Florida Chapter beautiful and professional website. 22 years ago I asked him to see what he could do to create a web site for the Florida Chapter. We were one of the first and, in my opinion, always “The Best” website. Marvin created it and has continually improved and updated information in a timely manner. As far as I can recollect, he has never received ANY compensation for his many hours of work. Marvin Marley, Web Master Extraordinary: thank you, thank you, thank you for your many years of dedicated service.